One of our favorite ways to connect with our kids is through playing games together. There are so many positive benefits to board games such as teaching good sportsmanship and building communication, problem-solving, logic, and math skills. We also love sharing new and interesting games with our friends. Let us do the research for you and help you discover new board games to play with your family and friends. 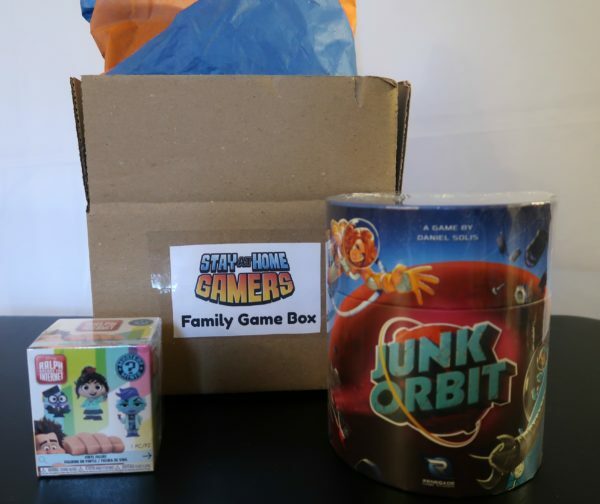 Our vision is to deliver a family game night in a box to you. 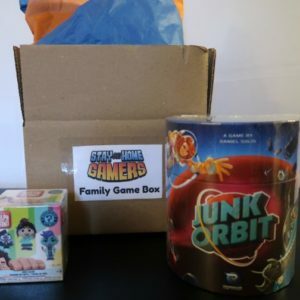 Junk Orbit is a new 2018 game that we learned about while at Origins Game Fair. It is a pick up and delivery game for 2-5 players. The basic gameplay is fairly simple (launch junk, move ship, pick up more junk), but you will start to plan and coordinate your deliveries a turn or two ahead of time. We like that Junk Orbit is different than the games we often play, and there are advanced game options included to increase the challenge. I show you how to play Junk Orbit here. We love collecting Funko Pops and other geeky toys. Wreck-It Ralph is also one of our family's favorite animated movies. We thought this was a great way to tie in our love for board games AND video games. You'll receive 1 out of 12 possible characters in this blind pack. Every great family game night needs snacks! Use this rocket ship cookie cutter with your favorite sugar cookie recipe to make cosmic cookies. Don't forget to make and decorate cookies to look like Earth, Mars, and the moon! Get creative and use the rocket for other space-themed snacks such as cheese or fruit rockets. Hand wash and dry cookie cutter. This ornament may invade your space and take over a spot on your tree (or wherever you choose to hang it). Our friend Lizz Porter of morethanthursdays.com creates amazing laser cut wood earrings and other custom work. Don't forget to peel off the protective paper from your ornament! Our holiday shipping cut off is December 20. We'll resume shipping again after the holidays if there are still boxes available. 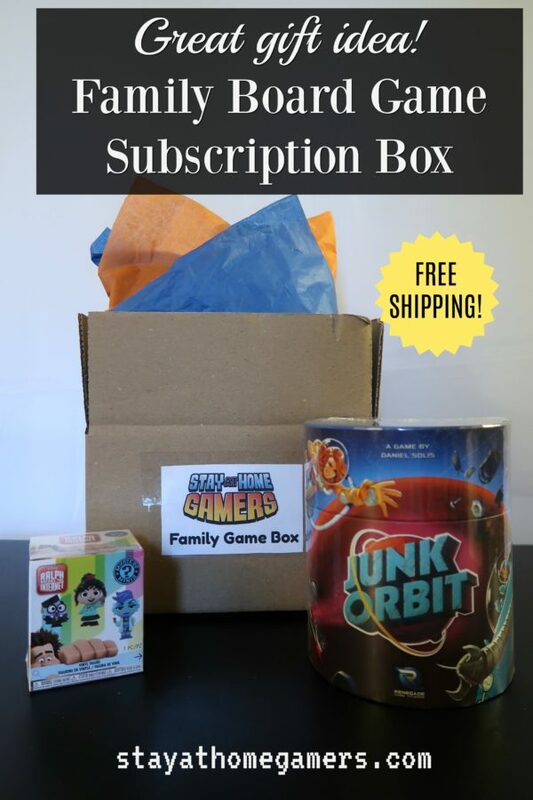 Add the Out of This World Family Game Box to your cart. Click to view your cart to complete check out. Fill in your name and mailing address. Complete payment using Paypal. You do not need to have a Paypal account to use it for our checkout process. We have a limited number of boxes available. Once they are gone, they are gone! Current customers and our email subscribers will be notified first about ordering next quarter's box.